Joseph remained there in prison. But the Lord was with him. Remember those who are in prison, as though you were in prison with them. I walk from my car to the double gated entrance at which there is a three story guard tower. There is massively strong and reinforced steel door at ground level, and thick tinted bulletproof windows around the top of the tower. A small walkway twenty feet off the ground runs around the perimeter of the tower. A basket with a rope and pulley is attached to a arm on one side of the walkway. The guard asks, “Name, and purpose of your visit?” There is no chit-chat; no friendly banter. I tell them I am there for a pastoral visit. He lowers the basket to me and instructs me to put my identification in the basket. Once they have seen my ID and verified that I do have an appointment in the chaplain’s office, they return my drivers license and I am allowed to go through the first of two gates giving me access to a 20 foot no-man’s-land between two 15 foot razor-wire-topped fences. The electronic lock clicks shut. Seconds later the other lock opens and I walk up a sidewalk to a second security station. At this station I go through a similar protocol. Only this time I walk through a metal detector, and they do not return my drivers license. I am in prison. I am about to visit a prisoner who is serving a life sentence without possibility of parole. When I meet Bobby, he is dressed in white pants and shirt – as are all the prisoners in this maximum security prison. The visit begins with prayer and a Bible reading. I learn his story. He professes to be Christian. He acknowledges his guilt. But he also says he should not be here without the possibility of parole. Some time later the visit ends and I am allowed to retrieve my drivers license, walk out through the double gates, past the guard tower, to my car, and make the 25 mile trip back to my family. That memory is more than 25 years old: my first of several visits to the Cummins Unit of the Arkansas State Penitentiary. I got to know Bobby and visited him several times before moving to Texas. He is still in prison as far as I know. 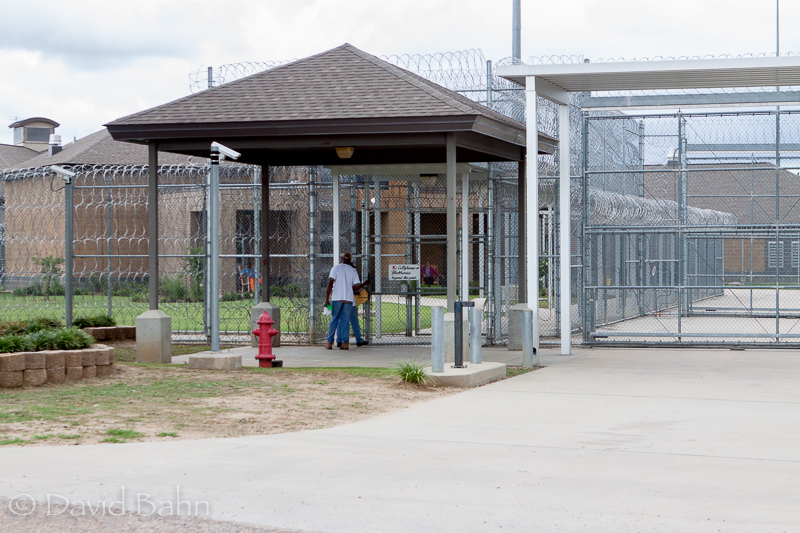 Since that time I have visited several other units in the Arkansas system as well as the once most bloody prison of all: Angola Prison in southern Louisiana. One major difference between my experience in Arkansas and in Louisiana: there is a seminary inside the prison at Angola. Through the efforts of Burl Cain, the prison warden at Angola, that prison has undergone the most incredible change imaginable. From a reputation as the bloodiest prison in the United States, to becoming a model of true rehabilitation and Christian redemption, the change is nearly beyond belief. Burl Cain is a man of faith and wisdom. He even brought a Bible College program into the prison there! I have only the faintest inkling of what it is like in prison – though I have visited prisons several times in my life. But I do know there are people there who have been redeemed and whose lives have been changed by the power of the Holy Spirit and the message of Jesus’ death and resurrection. They have heard the gospel, repented of their sins, and in some cases – as in the seminary and inmate-chaplain program at Angola – have experienced the fullness of God’s grace by mediating that grace to others within the prisons. There are some very bad people in prison; people who deserve to be there (including even some of the prison pastors serving in Angola and now also at the Darrington Unit near Sandy Point, south of Houston). But if God’s word is for sinners, and God’s grace is for the lost, there is no place more clearly in need of the grace and truth that is embodied in Jesus Christ than in prison. We may think that tougher laws and harsher prison sentences are the way to save our society from evil’s influence. But the game change that society needs is the message of the Gospel, the call of Jesus to repent and believe, and the power of the Holy Spirit shaping our lives as sons and daughters of the Heavenly Father. That message changes lives in prison. Whether or not these men ever see the outside of the prison walls those who have been freed by the Gospel are precious to God. We are called to remember them.